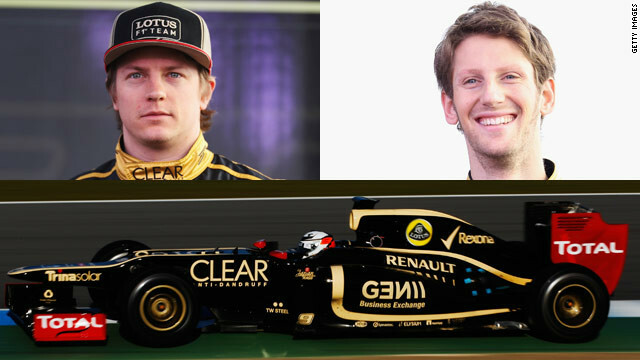 (CNN) -- Having competed under the Renault name in 2011, the rebranded Lotus team enter the new season hoping to avoid the off-track issues which blighted their preparations for the last campaign. In February 2011, Polish driver Robert Kubica suffered serious arm injuries in a rally crash and missed the whole season after undergoing surgery. Kubica announced in November that the start of the new season would also come too soon for him, meaning Lotus had to announce an all-new driver line-up for 2012 of former Ferrari star Kimi Raikkonen and France's Roman Grosjean. Former world champions Renault finished the last two seasons fifth in the constructors' standings, and the Britain-based team -- still powered by the French engine manufacturer -- will want to improve this year after a less turbulent preseason. The 2007 world champion is making his return to Formula One after a two-season absence, during which he competed in the World Rally Championship and the U.S. open-wheel NASCAR series. The Finn has racked up 18 grand prix wins during a nine-season F1 career which has included stints with Sauber, McLaren and, most recently, three years with Ferrari. The 32-year-old has undoubted pedigree, but it remains to be seen whether he can rediscover the skill which made him the best driver on the grid five years ago. Raikkonen insists he still has the hunger to succeed, a claim which has been backed up by some impressive performances in preseason testing. The Frenchman returns to the team he has raced for on seven previous occasions, having made his F1 debut for Renault at the 2009 European Grand Prix. The 25-year-old spent last year as a Renault test driver and took part in Friday practice at the Brazilian and Abu Dhabi races. Grosjean's best result so far is a 13th-placed finish at the 2009 Brazilian Grand Prix. As a former GP2 champion, the Switzerland-born racer will seeking to prove he can cut it in the elite division of motorsport.